Once upon a time, there was a man who wasn’t thinking about politics. But it is not this day. Today, and seemingly for time eternal, politics. The End…? Please? Yes, it is once again election time in New Zealand. Kiwis of different backgrounds and persuasions are beginning to think/not think about which boxes they will tick on September 23. For Christians, the results can be diverse. Conservative believers will often base their votes on one or more controversial issues concerning human dignity and the imago Dei (e.g. abortion, euthanasia) while avoiding the plagued parties who support these acts. Across the chasm, politically progressive believers identify with policies to free the captives and care for the least (oh, that’s what those passages mean) seeing the ‘other side’ as dispassionate and driven my Mammon. While the above examples are extremes, the crux is clear – we vote for the party that promises to tackle areas that we see as crucial. Emphasis on the promise. The question then – which is the correct way? How should Christians vote? In essence, there is a simple answer. Mere hours before his life-giving death, Jesus spoke these words to give all believers an instruction manual on how to live in a world governed by interim rulers. Jesus’ last words to those charged with continuing his mission – the apostles – didn’t contain three points of application on how to create a Christian society. We don’t vote to establish heaven in the here and now. We vote in good conscience who we think will best lead our respective cities and countries to the greatest common good. We are very much dual citizens, finding our homes in the City of Man and the City of God. Our ultimate allegiance is to the latter, but as long as the Lord wants us here, we are to strive to serve the interests of Babylon and it’s people. One of the most abused sections in the Old Testament – Jeremiah 29 – testifies to this fact as do the lives of Joseph, Moses, Daniel, Peter and Paul. If seeking the welfare of the city (Jeremiah 29:7) is the priority of the exiled Christian (that’s you), then the question of who to vote for becomes simple and complex – who best assists the City of Man to flourish and thrive? Different Christians will answer this question in different ways and that is alright. If you lean left, that is alright. If you lean right, that is alright. If you are disillusioned by it all and abstain, that is alright. As we approach the 2017 General Election, remember politics is a grace (Romans 13) but not the grace. Good policy does not save souls. If we mix up politics and the Christian message, the bar is set too high for the common grace of politics, while the saving grace of Christ is minimised and diluted. By confusing the two kingdoms, we destroy them both. If you are a Christian, you owe your allegiance to a kingdom that is not of this world. A kingdom that is far above petty bickering and broken promises. A kingdom built on an immovable Word and ruled by an impeccable King. A kingdom sprouting from a seed. In this kingdom, you do not vote but are voted for, by the Right and Honourable King of elected rebels. Praise His Name forever. Amen. https://thinkingmatters.org.nz/wp-content/uploads/2017/08/vote-2-696x397.jpg 397 696 Cody Knox http://thinkingmatters.org.nz/wp-content/uploads/2018/12/Thinking-Matters-Logo-MEDIUM-BLACK-TRANPARENT-1030x278.png Cody Knox2017-08-11 06:45:582017-10-10 19:41:24How should we then vote? The best way to start this article is probably with an astonishing claim somehow related to political figures currently popular with the media – perhaps a new Russian edition of The Apprentice involving selling off former Soviet military, hosted by a Trump lookalike … But we’re all used to fake news and clickbait, and we actually need something better. In a world with climate change, homelessness, disaster, politics, and the seemingly endless deaths of celebrities – and normal people – many are looking for good news. Some will go to the internet looking for it, and most will then, eventually, discover that a lot of the ‘news’ available is fake. Followers of Jesus claim that he offers good news. But the internet, and the world around us, offer a multitude of claims, and many are false. Perhaps the majority of claims on the internet are false, or at least misleading. Living in an information age, we need a good filter to find the reliable information, and we either learn to be sceptical quickly or start believing a lot of nonsense. The central claims of the Christian faith are bits of information in a huge biosphere of alternatives. How to find the golden thread of truth amidst the blonde toupees of falsehood? Two key steps in practice, I think, are to find sources we can generally trust, and set aside sources that are not trustworthy. So, tackling the challenge head on, what kind of news can we not trust? The main thing here is perhaps to try to weed out sources that are heavily motivated by something other than truth. They might still be true, but sources not typically directed towards the truth undercut the rational basis for holding what they say to be true. Fake news has a motivation of some kind, in our era often to do with money or political control. Sources that are never self-critical or open about their flaws are also suspect. Sources that limit the important claims to things that can’t be checked also raise questions. But, doesn’t everyone have selfish motives in some sense? Who can we trust? The scientific community, CNN, and the New York Times, are popular sources for many of the educated and thoughtful in our society. The feeling is that they’re rational, progressive, and open to new ideas, while also solid and reliable. Whatever you think of these particular sources, these organisations have huge communication power because they are trusted by hundreds of millions. How does the Christian claim to be offering good news stand up in light of the two key steps? Christian claims are centrally claims about Jesus, a historical figure, so to make sense of it we need to zoom back to the early Church. I’ll leave you to do the research, you can check out many of the facts on this site. I believe that the early Christians were not motivated by money or power, as they gained neither, and exchanged what they had, including secure conservative religious beliefs (they weren’t motivated by, say, fear of death), for risk and discomfort. They also make claims open to public examination, and the accounts are down to earth and honest about suffering and human failure. The central claims, unlike most worldviews, are about public reality, not private inner experience or an idealised future state. Jesus lived a human life, died a shockingly human death, and rose from the dead publicly. The claims lack features which fake news tends to have. Christian faith is also open to new information – the Spirit is still active, and, while it’s 500 years since the remarkable Protestant Reformation ‘officially’ began, the community of Jesus followers should be always reforming. Christianity, unlike ethically arid secular worldviews, provides a moral imperative for social progress, but the desire is grounded in an unchanging reality and a realism about human wilful brokenness and fallibility. We’ve touched on two key steps, but there’s a third that probably should be added too. This is what I’ll grandly call the wisdom criterion. It goes something like this: “how important is this topic, anyway?” Most of the news swirling around crying out for attention can safely be set aside because it simply doesn’t matter whether it’s true or false. Time is limited, and the opportunities in life are great for those who will take them. Jesus, as recounted by the redeemed formerly broken tax collector Matthew told a confronting story about ‘talents’, silver coins, left behind by their owner to be invested. We’ve all been given some. New information will pop up on your Facebook feed or homepage any minute now. Is it important? Is it well-motivated? Is it up for public scrutiny or an implausible claim to secret knowledge? No matter how cynical, I think we’re all looking for good news – Jesus offers it, reliably. Tim Keller talks about his book Generous Justice and shows how Christianity is not a hindrance to doing justice, but that its central doctrine – justification by faith – is essential to having a heart for justice and the poor. The talk took place at the Christ and City conference in Chicago. If you want to hear more from Keller on Biblical justice, check out his lecture on Doing Justice or his sermon on Isaiah 58. With the passing of John Stott, Gordon-Conwell Theological Seminary has made available some lectures he delivered at their campus in 1972. Stott is worth hearing, as Kenneth Kantzer once wrote, “When I hear him expound a text, invariably I exclaim to myself, ‘That’s exactly what it means! Why didn’t I see it before?'”. You can find all of the lectures on Gordon-Conwell’s iTunes page. Some helpful thoughts from Tim Keller, Matt Chandler, and Michael Horton on how we can disagree with one another while being faithful and winsome. http://thinkingmatters.org.nz/wp-content/uploads/2018/12/Thinking-Matters-Logo-MEDIUM-BLACK-TRANPARENT-1030x278.png 0 0 Jason http://thinkingmatters.org.nz/wp-content/uploads/2018/12/Thinking-Matters-Logo-MEDIUM-BLACK-TRANPARENT-1030x278.png Jason2011-07-07 17:08:012017-10-10 19:32:02How should Christians disagree? In this video, Dr Peter Williams presents new and old evidence that the Gospels are eyewitness accounts, drawing attention to details that would be very difficult to get right otherwise. The lecture was given at Lanier Theological Library and lasts for about 50 minutes, followed by 10 minutes of Q & A. 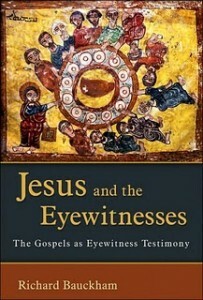 The book Dr Williams mentions, Jesus and the Eyewitnesses: The Gospels as Eyewitness Testimony, is available on Amazon. UCLA law professor Daniel Lowenstein interviews Oxford mathematician John Lennox about the truth of Christianity and the grounds for faith. http://thinkingmatters.org.nz/wp-content/uploads/2018/12/Thinking-Matters-Logo-MEDIUM-BLACK-TRANPARENT-1030x278.png 0 0 Jason http://thinkingmatters.org.nz/wp-content/uploads/2018/12/Thinking-Matters-Logo-MEDIUM-BLACK-TRANPARENT-1030x278.png Jason2011-04-10 19:08:362017-10-10 19:32:02Is belief in Jesus any better than belief in the tooth fairy? What do Christians mean by substitutionary atonement? In this video, Pastor Douglas Wilson looks at what Christians mean when they say that Jesus died in our place. http://thinkingmatters.org.nz/wp-content/uploads/2018/12/Thinking-Matters-Logo-MEDIUM-BLACK-TRANPARENT-1030x278.png 0 0 Jason http://thinkingmatters.org.nz/wp-content/uploads/2018/12/Thinking-Matters-Logo-MEDIUM-BLACK-TRANPARENT-1030x278.png Jason2011-02-12 14:26:012017-10-10 19:32:02What do Christians mean by substitutionary atonement? How can God be loving yet send people to hell? New Testament Research Professor Don Carson discusses the doctrine of eternal punishment and whether this is compatible with a God of love. http://thinkingmatters.org.nz/wp-content/uploads/2018/12/Thinking-Matters-Logo-MEDIUM-BLACK-TRANPARENT-1030x278.png 0 0 Jason http://thinkingmatters.org.nz/wp-content/uploads/2018/12/Thinking-Matters-Logo-MEDIUM-BLACK-TRANPARENT-1030x278.png Jason2011-02-10 19:56:062017-10-10 19:32:02How can God be loving yet send people to hell? More than 4,000 evangelical leaders have currently gathered in Cape Town, South Africa for the Third Lausanne Congress on Global Evangelization. The first Lausanne Conference was held in Lausanne, Switzerland in 1974 and was organized by influential evangelicals such as Billy Graham and John Stott. This year’s convention continues the focus on the mission of the global church and evangelism, with speakers including John Piper, Tim Keller, Chris Wright, Ajith Fernando, Michael Ramsden, and many, many more. First, only a high view of truth honors the God of Truth. Second only a high view of truth reflects how we come to know and trust God. Third only a high view of truth empowers our best human enterprises. 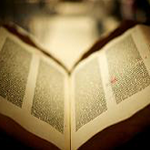 Fourth only a high view of truth can undergird our proclamation and defense of the faith. Fifth, only a high view of truth is sufficient for resisting evil and hypocrisy. Sixth, only a high view of truth will help our growth and transformation in Christ. “If our faith is not true, it would be false even if the whole world believed it. If our faith is true, it would be true even if the whole world and the entire cosmos were against it. You can watch his address on the Lausanne website or download it below. Former Professor of Philosophy at the University of Notre Dame, Alvin Plantinga examines the question of whether evolution and theistic belief can co-exist. He argues that there is a deep and massive consonance between theism and the scientific enterprise.